Like many social media sites, Twitter curates a selection of influencers they suggest to follow. 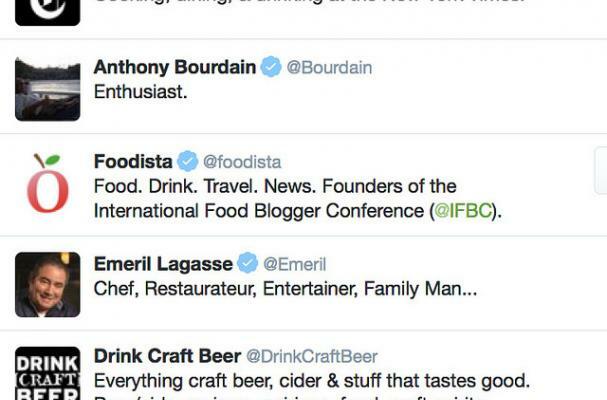 If you love food and drinks, here’s a list of 64 popular accounts to devour - Foodista just happens to be #27! We’ll continue to do our best to whet your appetite! Here's a list of Twitter's suggested Food & Drink accounts to follow along with their current number of followers. Happy eating and drinking!